Billie, co-owner of Will Charles Salon, has been involved in the beauty industry since 1998. Although she continually educates herself in all facets, she has chosen to specialize in hair color. Her extensive color education includes in-depth training at Vidal Sassoon academies in Santa Monica and Toronto. She has also studied with Loreal professional colorists in Soho. Billie was featured on TLC’s A Makeover Story and has provided hair color for ads in Elle and Vogue. She currently trains with and uses Wella color products. Billie specializes in providing consistent and natural looking hair color. It all starts with a thorough consultation. She believes truly listening to each client is the key. Co-owner of Will Charles Salon, Erik Howard, approaches haircutting with a conscientious eye and a sensitive hand. As part of the industry since 2004 his primary training is with Sassoon attending training sessions in Santa Monica California as well as attending classes by L’Oreal Professional in SOHO. He has been recognized by publications such as Boston Magazine as Best Wedding Stylist in 2011, and Allure as Best of the Best Haircut for Boston in 2012. Erik believes that continually educating himself and his clients allows both to make successful style decisions and creates a platform to build a strong and unique relationship that’s honest, caring, and long lasting. Victoria has a fun, trendy and fashion forward style about her. She started her professional career in 2007, and dove into all creative aspects of this industry. She works with her clients, helps them figure out what works best for them and their personal individual style. Victoria is warm and helpful, taking her time with each client to customize their style needs and color and teaching them how to go home and recreate the style again and again. Since starting in the hair industry in 2009, Julia has developed a passion for problem solving. Whether color, cut, or texture, she enjoys working with clients to create a hairstyle suited to their lifestyle. As a Kerastase ambassador, Julia uses her extensive knowledge of products and services to help everyone look and feel beautiful. In addition to cut and color services, she offers smoothing treatments from Brazilian Blowout and Keratin Complex. 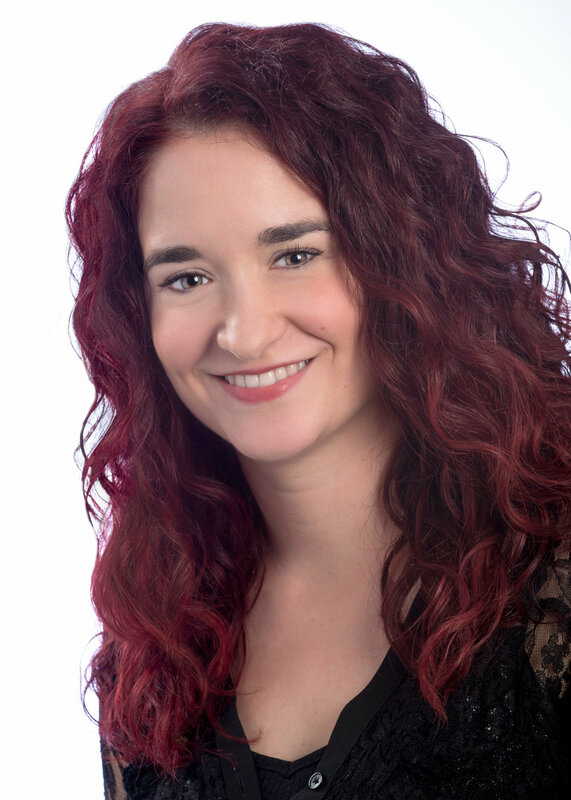 Jenna specializes in precision cutting and with her artistic vision and impeccable attention to detail enjoys working with clients to come up with styles individualized to their needs. A master of her craft, she keeps up with the latest techniques and hair trends as they appear on the fashion scene. She is constantly working on her own innovative techniques always pushing the boundaries of hair. She is trained in and has expanded upon the cutting techniques of Vidal Sassoon. She continues to improve her skills through international training with elite educators at the Vidal Sassoon Advanced Academy and the Toni&Guy Advanced Academy. Jenna has been a stylist on the TLC’s A Makeover Story. She regularly styles hair for fashion shows and photo shoots and enjoys doing styles for weddings and other special occasions. Whether you want a contemporary classic cut or a funky avant-garde style, you are sure to be pleased with the experience you have with Jenna as well as the result. The hair industry has always been a part of Kayla’s life. She grew up spending her time at the salon owned by her mother, developing a passion and appreciation for hair at a young age. Seeking out the best education, she apprenticed and trained with leading educators from Bumble and bumble, and the co-founder of Living Proof. Kayla brought her talents to California, spending three years working and perfecting a variety of color and cutting techniques. Combining her passion and extensive training, Kayla came back to Boston with the precision and professionalism to provide the best service to each client. She specializes in an array of blonding techniques from foiling to balayage, as well as event styling and on-site bridal services. Mariana is a young, up-and-coming hairstylist who is all about taking risks. She herself has had every hair color on the spectrum, and every cut you could possibly create. So to Mariana, no cut or color is too bold. Mariana places high value on understanding her clients’ needs and respecting their hair. She prides herself in having everyone leave with exactly what they wanted. Mariana has pampered multiple bridal parties, prom queens, and everything in between with Pinterest worthy updos and wavy curls that the worlds most beautiful beaches couldn’t give you. She is also certified in Keratin Complex and Brazilian Blowout treatments. Mariana strives for unlimited creativity. An appointment with her is one you will not regret! Clancy grew up not enjoying going to the hairdresser. As an independent person with an artistic eye, she cut and styled her own hair for fear of stylists “not listening to what I’m saying.” Behind the chair today as a professional hairdresser, Clancy takes her time in consultation with each individual so that both stylist and client totally understand what the possibilities and preferences are. Whether it be a cut, color, or style Clancy works with you to make what you want a reality! Steven has been a stylist on Newbury Street for the past 30 years. His warm manner and attention to detail are truly evident. He maintains a large and loyal following. His positive nature is appreciated by all. Knowing what he wanted to do at a young age, Patrick started his career in hairdressing at 18. After working in one of the top rated salons in Colorado, he moved across the country to get a taste of the East Coast and immediately started working here at Will Charles Salon. He provides his guests with knowledge in hair, and designs a look to compliment every one’s everyday lifestyle. Naomi’s career began at age ten, when she gave her first haircut to her trusting younger sister. Ever since, her passion for music, fashion and connecting has inspired her industry specialties: hair cutting, coloring, wedding styling and makeup. Naomi has made an appearance on TLC’s “Makeover Story,” styled the hair and makeup for Jenna and Barbara Bush, former president Bush’s daughters, and worked on a wedding that was featured on the Oxygen Channel’s show, “The Knot”.